Enjoying the lovely Icelandic horse and the beautiful Icelandic countryside is a perfect combination. 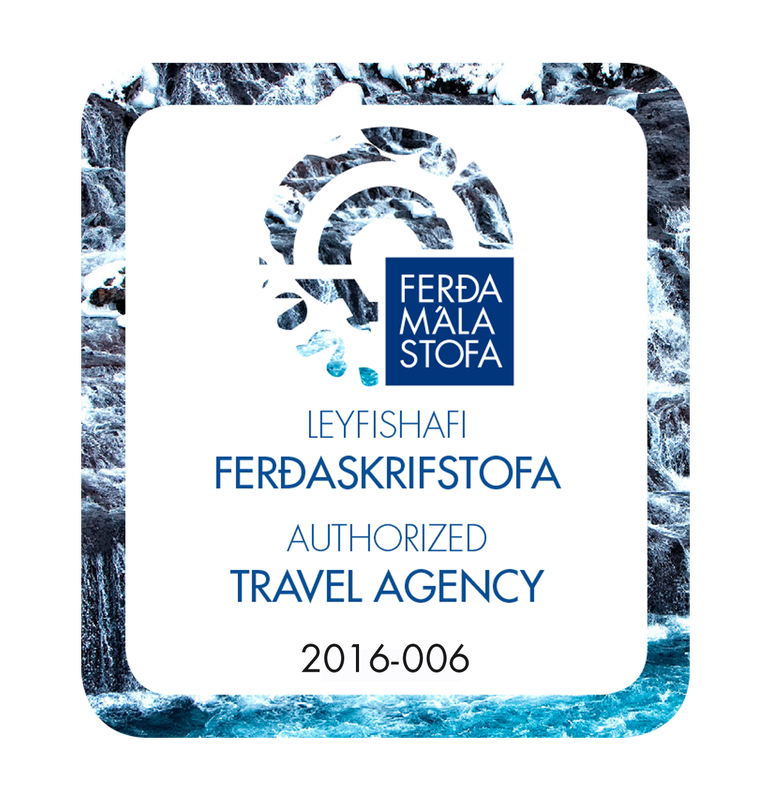 Some of these tours are operated by Exploring Iceland, some by a trusted partner. A great horseback riding tour in the outskirt of Reykjavik in a beautiful settings with red and black lava and great riding paths! The transfer takes only 15 minutes from Reykavík and is included in the tour price. We ride on lovely briddle paths surrounded by black and red lava formations, pseudo craters and mountain view. Each season has it´s own charm. An excellent way to enjoy and experience the Icelandic horse and it´s friendly character. Each riding tour is customized and adapted to our guests, therefore suiting all levels of experience, whether you are a beginner or more advanced rider. Highly recommended! Small groups and personal service! Riding gear, safety helmets and rain clothes provided. Private horse riding tour in on the Álftanes Peninsula on the outskirts of Reykjavík. During the tour we will ride along the coast and on the beach (tide allowing) and go close to Bessastaðir, the presidential seat. We enjoy the beautiful mountain view of the Faxaflói bay and in good weather we can see all the way to Sæfellsnesjökull glacier. Álftanes peninsula is the hidden gem in the Reykjavik area, rich in history and bird life. Fantastic views of the Reykjavík skyline! Including pick up/drop off at accommodation in the capital area (Reykjavík, Kópavogur, Garðabær and Hafnarfjörður) Transfer time from accomodation to stables approx. 15 min. Duration: 3-3,5 hours, about 1,5 hours in the saddle. This tour is only for intermediate and experienced riders. Included: Guided riding tour, hot drink, saddle bag, safety helmet, rain clothes. We begin the tour with an instructions in the riding hall before we ride out into the Icelandic landscape for a ride which focuses on experiencing the tölt in nature. We mainly ride on soft riding paths so we can enjoy the gait Tölt in all speed while enjoying lovely mountain views in the background and on a clear day we can even see the Westman Islands. The distance requires that we ride quite a bit of tölt which is why the tour is best for those who have some experience. If you like space, views, good riding roads and some more speed this is a tour for you. Depending on speed we will ride between 1,5 and 2 hours. We end the tour with a hot drink in the stable cafeteria and take a look around this stunning horse breeding farm. Dates: Every day, May - September. Great tour for experienced riders! On this tour we ride across rivers on great riding paths with breathtaking views of the famous Mt Hekla Volcano, glaciers and the river Rangá. We ride into Icelandic forest, over lava fields and on soft grassy meadows. You will experience plenty of tölt on good horses, making short stops to rest the horses and give you a chance to take photos. Ourlunch break will be at an old well where the soft grass invites you to lie down and enjoy the scenery and the grazing horses. Apart from a lovely ride this is also a beautiful day in nature. A hot drink await when we return to the stunning breeding farm and you have time to have a look round the stable before saying good bye to the horses. Dates: Every day, May - September. Other dates upon request. Level of expertise required: Suitable for all levels. Included: Guided riding tour, entrance fee to the Secret Lagoon, towel, saddle bag, safety helmet, rain clothes. This popular tour starts at a beautiful horse farm close to the small village of Flúðir in South Iceland. The members of the family breed and train their horses themselves and always have a great selection of horses available. The young hosts, Arna and Steini, are known for their never ending hospitality and kindness. Steini studied Horse Training at the Hólar University College and is a very accomplished trainer. The family and their international staff will make everybody feel right at home from the moment they arrive. The complete novice and the highly skilled competition rider will find the perfect mount on this farm. Our tour takes you through rolling hills and idyllic farmland with young horses, sheep and cattle grazing on endless green fields. If you think of typical Icelandic farmlife – here it is! We stop at the natural hot springs of the Secret Lagoon. The pool´s steam rising into the air gives the place a magical feeling. The warm water keeps a temperature of 38-40° Celsius all year round. Close by there is even a little Geysir which erupts every 5 minutes, showing off for the guests relaxing in the hot spring. Changing rooms with showers are on site. After a long and relaxing bath we saddle up again and ride back to the farm for a coffee and a last hug for your new four–legged furry friend! Explore Iceland’s stunning landscape in Borgarfjörður on horseback. We take the time to give each rider a prep lesson in our indoor arena before heading out on the trail. This ensures you’ll be confident, comfortable and prepared for your ride. Available every day except Sundays from June 1st - September 15th. Riding in beautiful Eyjafjörður on good riding paths, along the shore and on green fields. Horses suitable for all levels of riders. Minimum age: 12 year. Safety is important and riding helmets are standard equipment for all the riding tours. Operated by a trusted partner. This tour includes free access to the hot tub after the ride! Excellent ride along the coastline near Húsavík with a fantastic view over the bay of Skjálfandi - look out for the whales! A nice and easy ride up in to the hills around the beautifully situated farm. Strong, safe and friendly horses - a perfect match for each rider. This tour is suitable for beginners as well as experienced riders. ​Operated by a trusted partner. Please note this tour starts at the farm near Húsavík town. Transfer to/from farm is not included. This tour can also be arranged as a day trip from Reykjavík with domestic flights or as a 2-day program including accommodation and full board at the romantic Wilderness Center! The tour starts at Hengifoss car park at 9:30. From there we go for a lovely walk slightly uphill to Hengifoss, one of the tallest waterfalls in Iceland (128 m). The distance is about 2,5 km each way and the walk takes about 1-2 hours in total. Good walking/hiking shoes necessary. On the way is another astonishing waterfall, called Litlanesfoss. It is crowned by exceptional high basalt columns, making it totally unique and photogenic. After the waterfall walk we go by car to the Wilderness center for a typical Icelandic Lunch and a visit to the Wilderness Exhibition, telling about the rural life at the border of the Eastern Highland. We continue our adventure on a ride on the sturdy and friendly Icelandic Horse through narrow valleys, rich with escarpments and undergrowth, inwards to the edge of the wilderness. Riding an Icelandic horse is something you have to experience at least once in your life. Moving on horses in the wilderness is for those who want to live out exclusive freedom. Pick up/ Drop off at Egilsstaðir: Not included in tourprice but can be arranged from Egilsstaðir (airport, hotel or tourist information) for an additional fee. Riding Helmets and a small selection of rain wear can be borrowed at the farm without extra charge. During early summer in Iceland we have bright nights. Riding in a sunny night is definitely an experience to remember. The midnight ride is destined for the abandoned farm Kleif where we will take time to absorb the beautiful surroundings and have a look into the old farmhouse. Those daring can try their hand at towing themselves across the Jökulsá River by a traditional cableway. Riding an Icelandic horse is something you have to experience at least once in your life. Moving on horses in the wilderness is for those who want to live out exclusive freedom. We select each horse with riders enjoyment and safety in mind.